Welcome to the New Year! I hope that 2015 is off to a great start for you. We’re starting off this year’s Featured Author interviews with the first author who I don’t actually know in person, but her work has affected me profoundly. You see our guest today is Eva Marie Everson. 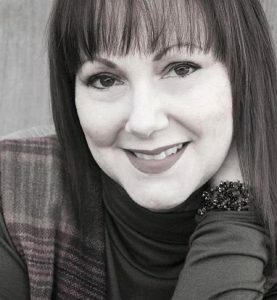 She is a multiple award-winning author and speaker, as well as owner of Pen in Hand, where she coaches new authors in their writing pursuits. She is also the founder of Word Weavers International, and it’s through that organization that she has had an impact on my writing and work. Word Weavers is a writers’ group that was founded in March 1997 to provide a forum for Christian writers to critique each other’s work in a face-to-face format in order to learn about and improve our craft. What I love about it is, writers of all levels are welcome. You don’t have to be published. You don’t even have to want to be published. You can simply come, participate, learn and grow as a writer. It’s great! When I agreed to serve on the founding board of our local chapter in September 2011 (how else would one have ended up in my little town in CT? ), I had no real intent to become an author. I was contributing to a book that was being co-authored, but I saw this as a one-time thing; not a lifetime habit. I can’t really say what happened after that, except that I got the bug… The writing bug, that is. Anyway, back to Eva Marie. If you have enjoyed anything that I have written, you have her to thank indirectly. It’s through my fellow Word Weavers that I have grown as an author. So it is a distinct pleasure to learn more about how her own journey began and what words of wisdom she has to share with us today. Tara: What motivated you to write a book? Tara: What publishing options did you consider? Eva Marie: I have a Cinderella story. I had a book idea (after the first book had been written) and I went to the Christian Booksellers Association Convention in July of 1999 with it “in my back pocket.” I presented the idea to 12 editors. One of those, from Barbour Publishing, contacted me nine days later with a contract offer. Tara: Why did you settle on the option you chose? Eva Marie: I honestly think it settled on me. Tara: How easy was it to get your books done? Eva Marie: The first book I wrote took a year. But it didn’t see publication for three years. The second book idea took six months to write and then another six months to see published. That’s the typical rule for me, I’d say. Now, this last novel (Five Brides, Tyndale June 2015) is based on a true story. I spent three years chasing the story. Another two or so trying to find the right publishing house. A year writing it. Another two months re-writing it. And then nearly a year from that before it will hit the shelves. But I’m super excited about it. Tara: How did you distribute the books after publication? Eva Marie: My first book was distributed by the publishing house, as have all other books. Tara: How are you marketing and promoting your books? Eva Marie: Social media is big. It carries a lot of weight. Also, face-to-face networking is important. Now, with my first novel (the story of a redeemed exotic dancer who helps other girls get out of the business), I discovered the need for ministry in this area and teamed up with those already there. Next thing I knew, I was speaking to church ladies about what’s really going on, and that they needed to be Jesus’ hands and feet. I had a two-page color-photo spread in the Orlando Sentinel. So, even though the book was fiction, it had real life implications. Tara: What’s working best for you to generate sales? Are there things you’d recommend avoiding? Eva Marie: Your best ticket is word of mouth, and it starts with your own. If you believe in your work, so will everyone else. As far as what to avoid, I think that comes with seasons. There are things that work for a while, but then cease to be effective. Tara: Which social network do you use the most and why? Eva Marie: Facebook, Twitter, Pinterest, LinkedIn … pretty much in that order. Tara: If you had one piece of advice for someone thinking about writing a book, what would it be? Eva Marie: Don’t write it because you want to be published. Write it because you can’t not write it. Write it to the absolute best of your ability. Then go back and read it. Edit it. Read it again. Edit it some more. Connect with a critique group (like Word Weavers International) or a critique partner. Not someone who will pat you on the back and tell you how wonderful you are. You have your mother or friends for that. But, most importantly, write it because you can. An Interview with Jeff Goins, author of "Wrecked"